首頁 / 台新藝術獎 / 佈告欄 / 第十二屆台新藝術獎年度入選五作品揭曉! Using garbage as objects, the play depicts our daily life. The seemingly non-existing acting by performers on stage constantly reverses the images; as the storyline further expands into absurdity, amount of garbage on stage also increases, reflecting our life that is continuously turning into waste. 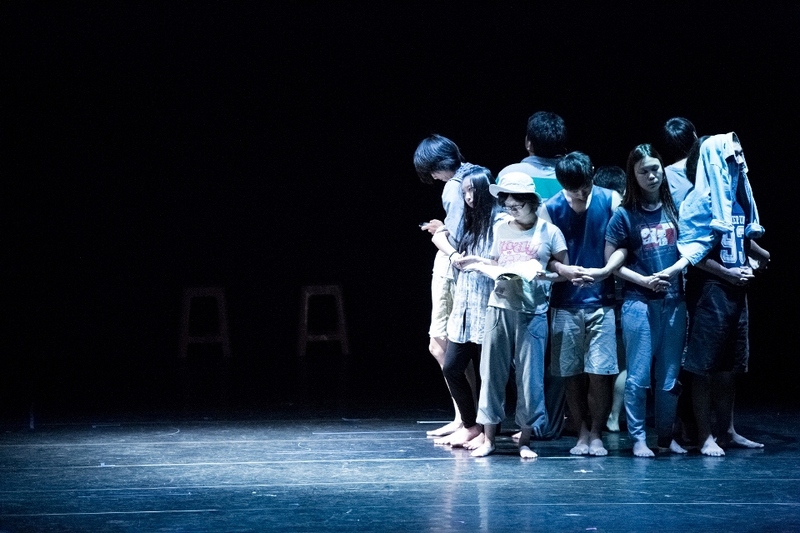 Li plays with symbols of stage to create a unique style of theatre, exploring new forms for Taiwan’s performing art and expressing social concerns for the environment and humanities. 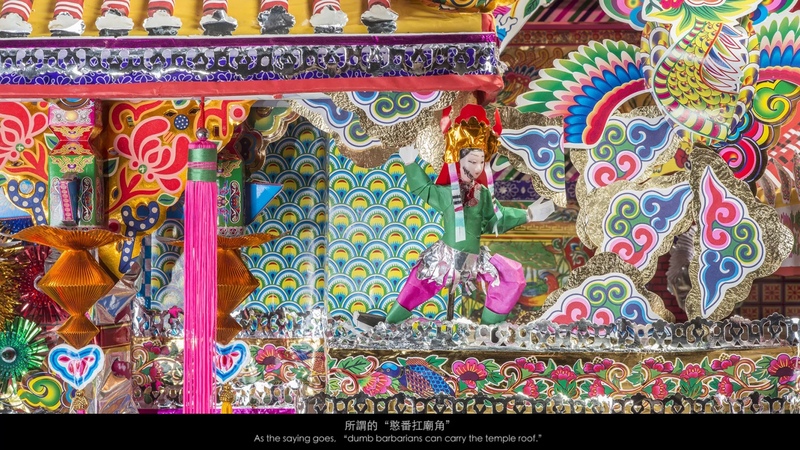 Su’s masterful skills interweave real-world and imaginary characters, turning the increasingly vulgar ceremonies for funerals in Taiwan into an innovation of artistic language through interdisciplinary media and cultural thinking, which co-construct a journey to the underworld with classical Taiwanese language. 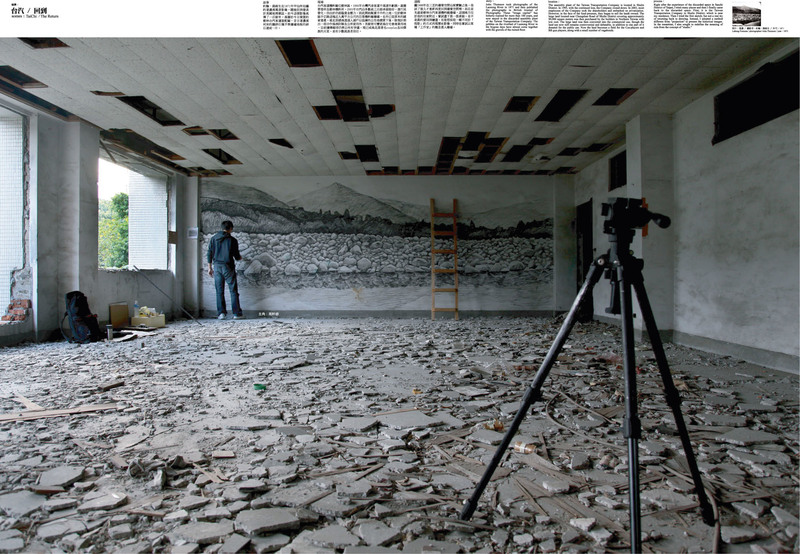 By comparing the realms of the living and the dead, Hua-Shan-Qiang gives a new perspective of the history, politics and culture of the colonized Taiwan with videos, installations, and folk paper crafts, and opens up a window of dialogue with global arts for Taiwan’s contemporary art. KAO Jun-Honn develops “The Ruin Image Crystal Project: 10 Scenes” from a profound local historic perspective with significant depth and breadth; the significance lies in the camps he dwelled in based on old photos of the sites. The sketches on the walls and arranged performances onsite are transcribed manifestation of modern Taiwan’s transition from colonial period to post-colonial era; with inter-witnessing of photographic images and texts, the twisted and forgotten heritages are displayed. The exhibition invites viewers to access and explore historic reflections of the ten sites. At this year’s “Asian Art Biennial”, KAO Jun-Honn’s live art combined various forms of art, such as records, actions, interviews, theatrical plays, and photographs. From personal realization to joint social practice with others, all aspects display the perceptive strengths as well as the rich aesthetic dimensions of this project. HO Hsiao-Mei has developed her unique body vocabulary over her long dialectics on “humans” and “puppets” over time. Through changes of trench coats and the human body, she creates the rapidly transitioning context, and the constantly changing relationships within. The slanted surface changes the relationship between the dancers and the floor, as well as the emotional gravity and balance. Dancers run as if flying at times, and cling on as if afraid of falling off. The strange combination of a female body and male legs put together a strange and twisted “self-portrait”. Ho’s strength lies in her use of surrealist images to create surprising stage effects; the most complicated entanglement of intimate relationship is hidden under the romantic ties on surface. Ho is not trying to depict the superficial emotions in today’s Taiwan; rather, she wants to represent the emotional experience deep inside Taiwanese people’s sub-consciousness. A twisted horizon is used as the main stage in this interdisciplinary cooperation with paper-cutting artist Jam Wu. The dance performance uses costumes, light and shades, and paper-cutting art to bring strong visual tensions to the three-dimensional space of the stage, creating brand new dancing bodies. This is a magnificent elaboration on John Cage’s compositional methods and artistic beliefs. Not only has LIN Kuei-Ju taken apart the piano, she has also transformed the entire space where she had her performance into a resonator. Hammerheads are connected to her hands, and the keys are connected to choreographer TUNG I-Fen’s body over linen threads. The body and piano cross over each other’s border, forging a new relationship between music and dance. 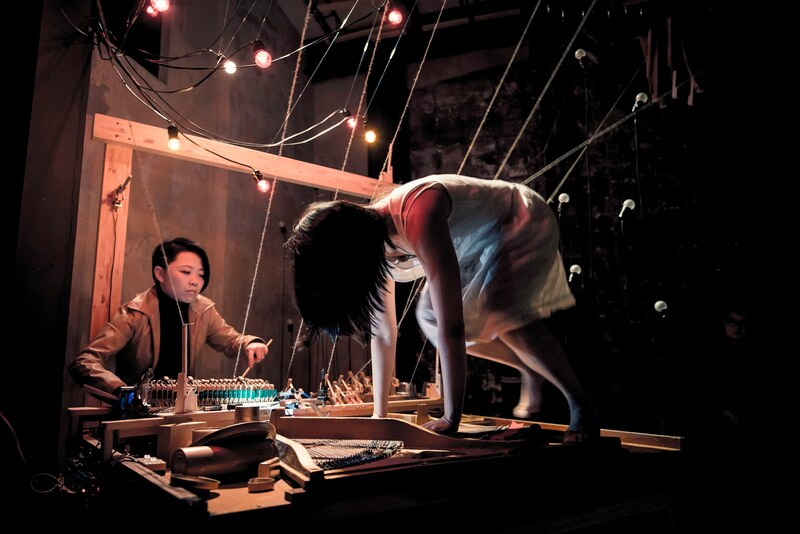 Combined with WANG Chung-Kun’s sound installation, which facilitates the “musical” resonance by the kinetic sculpture, electronic sounds, and the piano. The piano instrument, the spatial installation, the body of the musician, and the body of the dancer altogether created a brand new artistic circuit. This is not a simple piece of interdisciplinary collaboration; this is a project that confronts all existing paradigms and explores new horizons of art.